Don't say little around this guy. Little is what you get at the box stores. This beauty has hefty 6" posts, 6" X 8" lintels, and 3" X 6" rafters and braces. Perfect for an entryway, a small deck, or out in the garden. Comes housebroken. 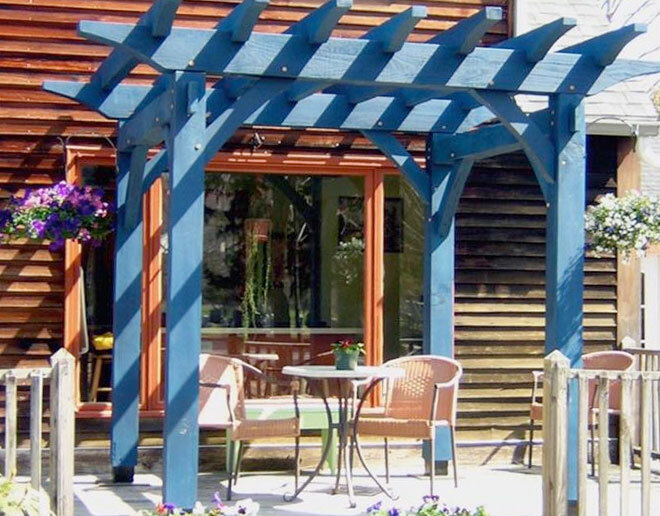 Our 8' X 10' Pergola is perfect for the entry that needs a little extra attention, for the back deck to provide a little relief from the sun, or out in the garden to train flowers and climbers on. Whatever your needs, this one has a small enough footprint to fit in tight areas, but the strength, beauty and presence to create a stir. 7" X 7" posts, 7" X 9" lintels, and 4" X 6" rafters and braces. 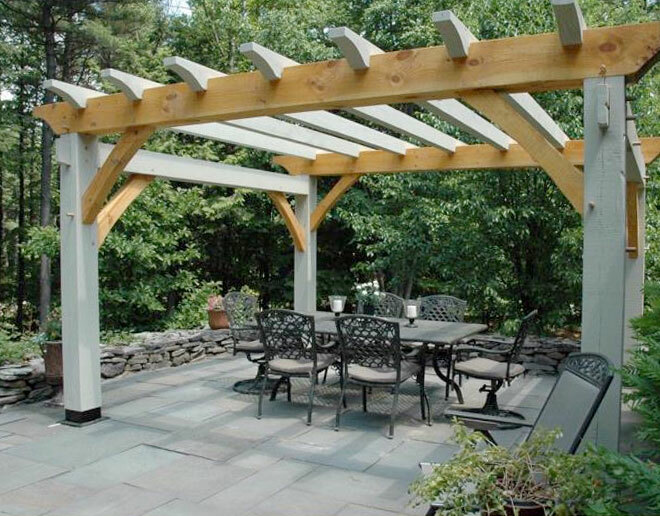 Our 10' X 12' Pergola is perfect. That's right, perfect. Perfect form, perfect proportions, perfect size. It's so perfect, the others get jealous. Use it for an outdoor dining room, living room, or a really nice place to park your car (either under, or on top, it'll hold it). One of our clients hangs an 8' screen on one end and a projector on the other, and invites the neighborhood over for movie night! This workhorse sports 8" X 8" posts, 8" X 10" lintels, and 4" X 6" rafters and braces. If you like to entertain, this one's ready to be the star of your party. 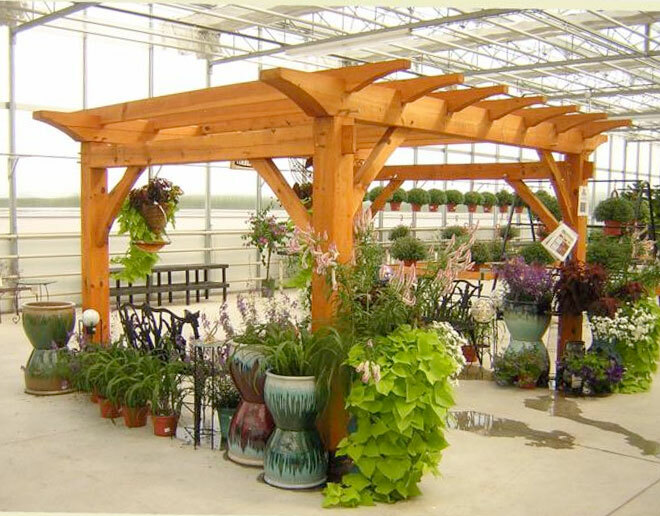 Our 12' X 14' Pergola is big. No, not big.... Expansive. You can have dinner for 10. You can have an outdoor living room. Heck, you can play soccer under there. And if you plan on doing any of those things, this is the one you want. Because it's big. I mean, expansive. But not expensive.